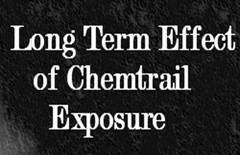 Chemtrails and Lithium Salts - Chemtrails Spraying and Lithium Salts - LITHIUM SALTS Chemtrail Information - Stop Chemtrail Spraying in California! 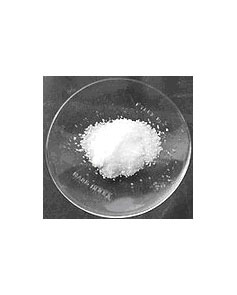 Lithium chloride is a chemical compound with the formula LiCl. The salt is a typical ionic compound, although the small size of the Li+ ion gives rise to properties not seen for other alkali metal chlorides, such as extraordinary solubility in polar solvents (83g/100 mL of water at 20 °C) and its hygroscopic properties. Lithium chloride is produced by treatment of lithium carbonate with hydrochloric acid. It can in principle also be generated by the highly exothermic reaction of lithium metal with either chlorine or anhydrous hydrogen chloride gas. Anhydrous LiCl is prepared from the hydrate by heating with a stream of hydrogen chloride. Lithium chloride is mainly used for the production of lithium metal by electrolysis of a LiCl/KCl melt at 600 °C. LiCl is also used as a brazing flux for aluminium in automobile parts. It is used as a desiccant for drying air streams. In more specialized applications, lithium chloride finds some use in organic synthesis, e.g. as an additive in the Stille reaction. Also, in biochemical applications, it can be used to precipitate RNA from cellular extracts. Lithium salts affect the central nervous system; see lithium pharmacology for more details. For a short time in the 1940s lithium chloride was manufactured as a salt substitute, but this was prohibited after the toxic effects of the compound were recognized. The average developmental score for the lithium-exposed group of children was 7–8 points lower than the control group (siblings), but well within the normal range of 100±15. Lithium is also a teratogen causing birth defects in a small number of new born babies. If taken during a woman's pregnancy can cause her child to develop Ebstein's anomaly, a heart defect. 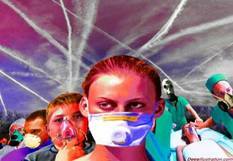 New York Times Pushing for Lithium and Other Drugs in Water Supply - Alex Jones . Another reaction of lithium metal dust (aggregated) with water. Compact lithium does not give a reaction where hydrogen self-ignites.